Reps can join it as independent contractors but work in a branch office. Securities America said early Thursday that was introducing a new business model to attract more wirehouse advisors to the independent channel in cooperation with partner United Advisors and its parent company. “This model gives breakaway wirehouse advisors the freedom to operate their own business as they see fit while maintaining the office structures and geography they are used to,” said Gregg Johnson, senior vice president of branch office development and acquisitions for Securities America, in a press release. The new arrangement means that advisors will be able to access office space and a branch identity with other ex-wirehouse advisors, while operating and growing their own business on an independent platform, Johnson explains. Plus, they will be able to earn more and access services like investment banking and capital markets products from Securities America’s parent company Ladenburg Thalmann (LTS). 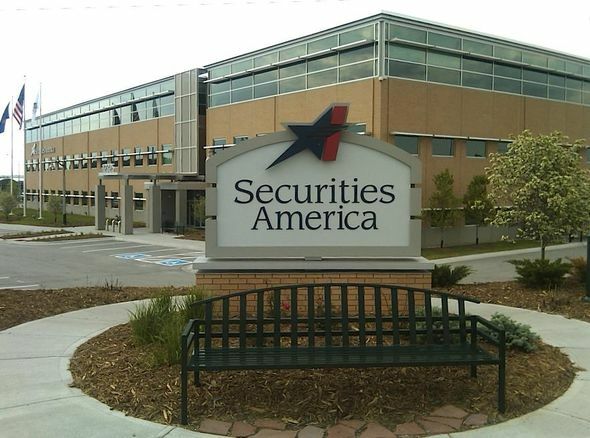 Securities America now includes about 1,700 advisors with $50 billion in client assets. Ladenburg also owns independent broker-dealers Investacorp and Triad Advisors, which each have roughly 500 affiliated FAs. The IBD’s partner in the new model, United Advisors, says it has tapped former Morgan Stanley (MS) branch manager Kevin Hughes to serve as a managing partner of its client group. Hughes led a branch with some $2 billion in assets in Great Neck, N.Y. He is a 21-year industry veteran and joined Smith Barney in 1998. “After listening for years to the concerns of fellow financial advisors, we have created this hybrid independent and wirehouse model that allows financial advisors to be properly compensated while placing their clients first, yet avoiding the professional isolation of going it completely alone,” Hughes said in a statement. The number of wirehouse advisors has been shrinking in recent years, leading some experts to say that this is reducing the number of breakaway brokers. Still, groups like Focus Financial Partners have recruited some teams recently. Two former UBS (UBS) advisors moved to start IFM Capital Advisors, a Denver-based independent RIA, in January; IFM is now a Focus partner firm. Also last month, another Focus partner — Beirne Wealth Consulting — grabbed a team of two advisors who used to work for Morgan Stanley. But data on the recruiting deals offered by the wirehouses — now being sold online by AdvisorHub — suggests that wirehouse reps have plenty of reasons to stay within that channel, suggests Michael Kitces, director of research for the Pinnacle Advisory Group. While a typical recruiting deal for an RIA might involve two times an advisor’s yearly fees and commissions, the typical wirehouse recruiting package can go as high as 350%. Other broker-dealers use different models to attract wirehouse reps.
Raymond James (RJF), for instance, offers both employee and independent options. Its Advisor Select program is for advisors who want to keep their employee status but rent their own office space. Ameriprise Financial (AMP) allows advisors to join as employees or independent contractors.